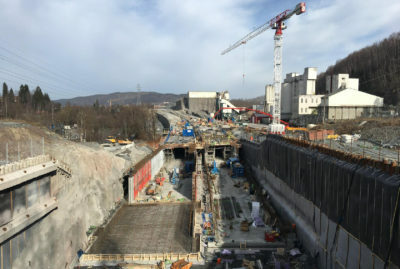 Aas-Jakobsen, in partnership with Vianova and Electronova, was contracted by Mustad Eiendom to design the Mustad Concrete Tunnel. 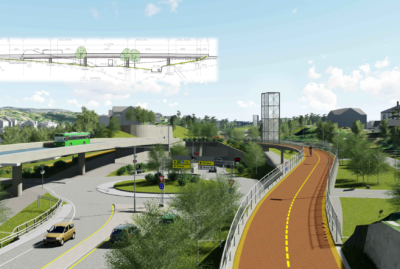 The construction of the concrete tunnel and renovation of the Granfoss tunnels took place at the same time, with the construction project being in close cooperation with the Norwegian Public Roads Administration’s eastern region. Mustad Concrete Tunnel was a project on which Aas-Jakobsen was a major contributor, responsible for around 90% of the project. As usual, we operated in partnership with the members of our network, with Vianova being responsible for roads, water and sewerage, and Electronova being responsible for electrical systems. Mustad Concrete Tunnel joins the Granfoss tunnels into a single continuous tunnel from Ullern to the Lysaker side. 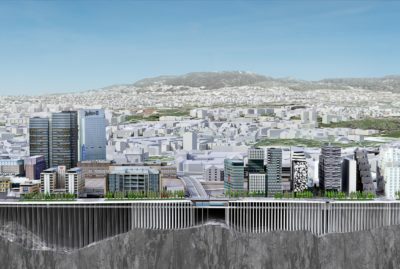 Mustad Concrete Tunnel is a project which came about when Mustad Eiendom decided that it wanted to build apartment blocks on land close to and beside the concrete roof of the tunnel. 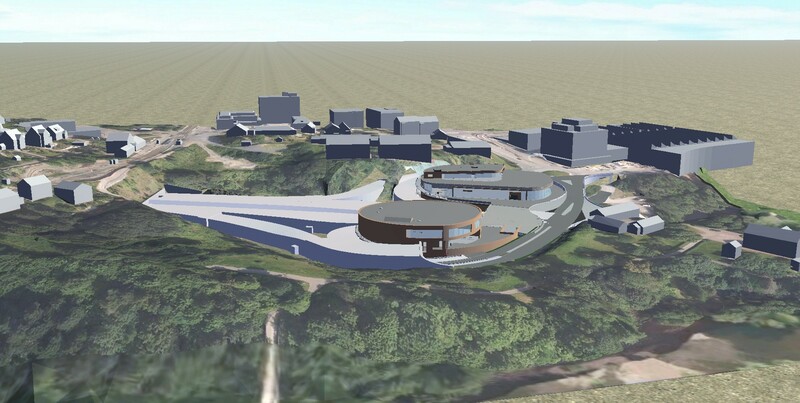 The land on top of the concrete roof would be used as recreational land for the residents. 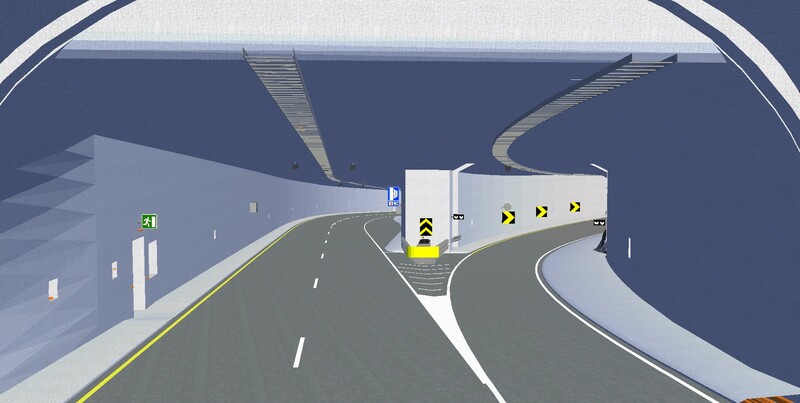 The concrete tunnel is designed around the road layout in the area. There is a through road with entry and exit ramps to Lilleaker. 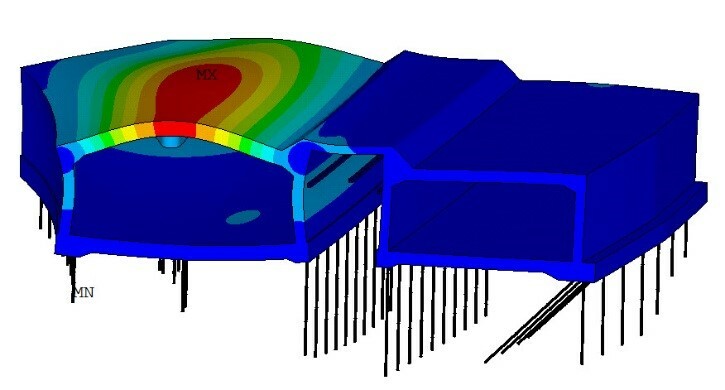 The concrete tunnel was designed with the aid of the analysis software Ansys and design software Multicon. 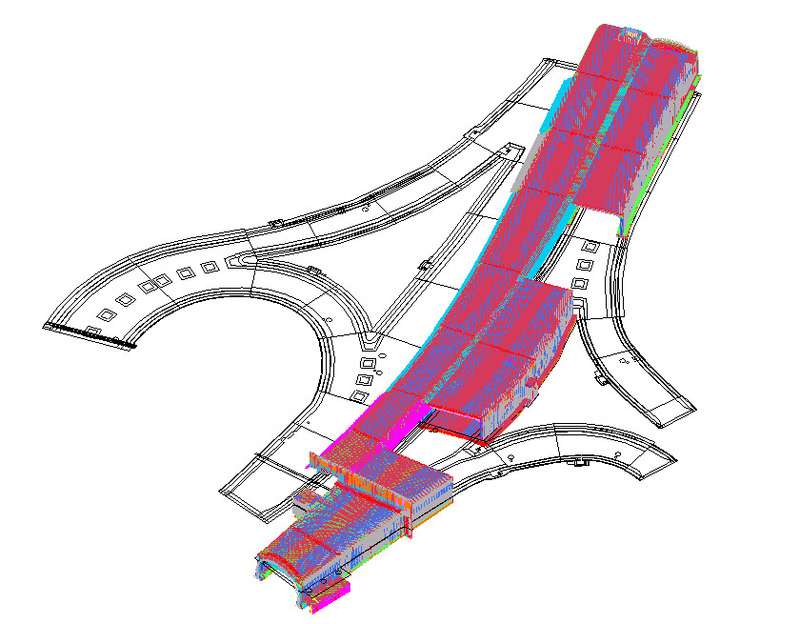 40% of the tunnel’s reinforcement was designed in 3D/BIM using the Tekla Structures software. A total of 25,000 m3 of concrete and 5150 tonnes of reinforcement were needed. 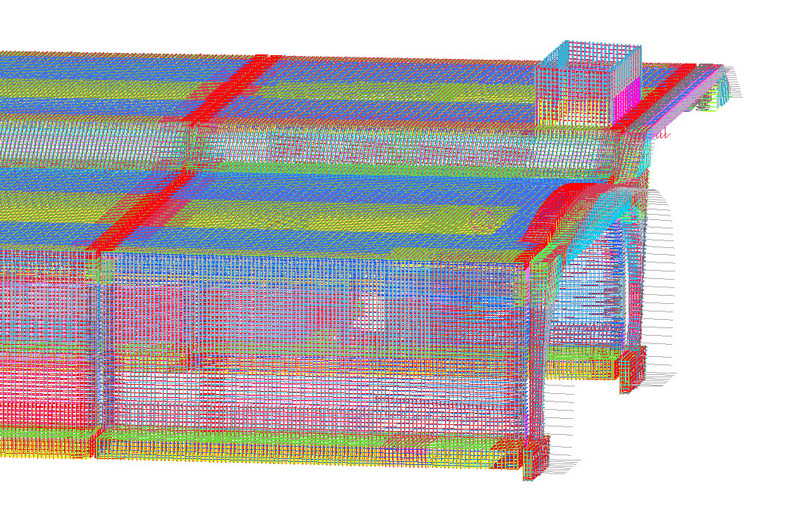 Below you can see a plot of the 3D model, as well as a plot of part of the structure for analysis and reinforcement. Aas-Jakobsen is particularly pleased to have designed an extremely complicated concrete structure. It is a structure with an extremely difficult geometry, which made the production of reinforcement drawings a particular challenge. The reinforcement drawings were partly produced using Autocad in the traditional 2D way, and partly in 3D/BIM using Tekla Structures. All the reinforcement drawings were delivered to the contractor on time. 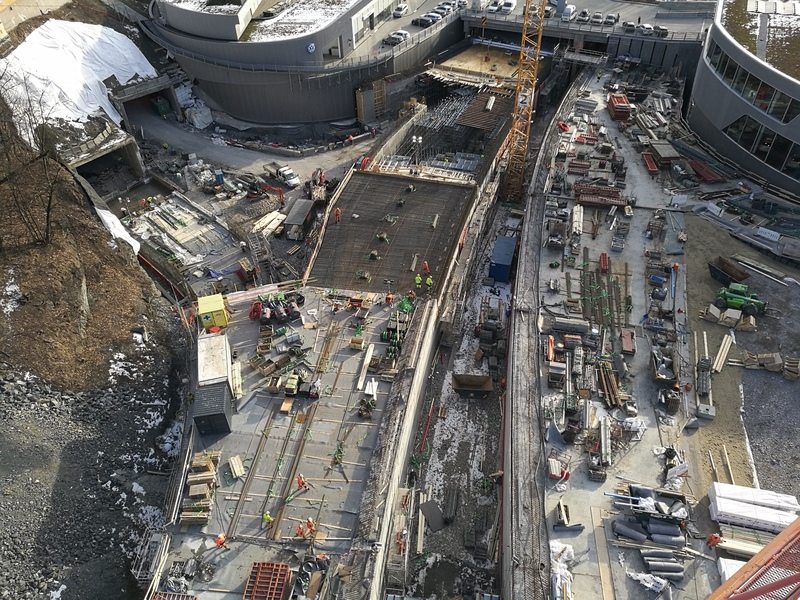 Aas-Jakobsen and its network completed an extremely complicated concrete project, at the same time expanding its volume element analysis skills for concrete structures, including the design of reinforcement quantities and delivery of reinforcement BIM. 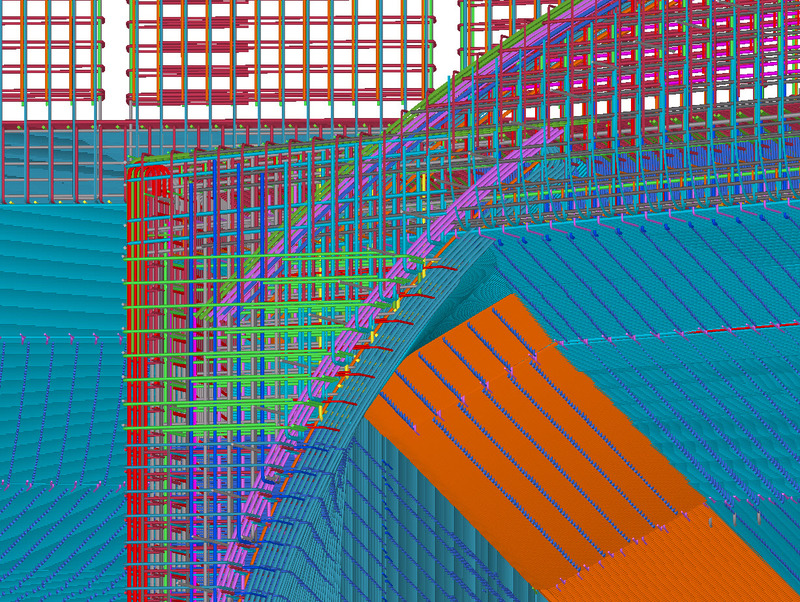 This shows the part of the project which was reinforced in 3D/BIM using Tekla Structures.